Earlier this week, the Gulf Cooperation Council (GCC) celebrated its 36th anniversary. Comprising Bahrain, Kuwait, Oman, Qatar, Saudi Arabia and the UAE, the regional bloc was established in 1981 to bring together countries that share historic, demographic and geographic roots, in addition to the similarity of their political and economic systems. The people in these six countries had always felt as one, sharing family ties and enjoying common social norms and traditions. The GCC, aims to put all those factors in the forefront to strengthen ties at the state level, integrate political and economic strategies and coordinate defence and foreign policy. 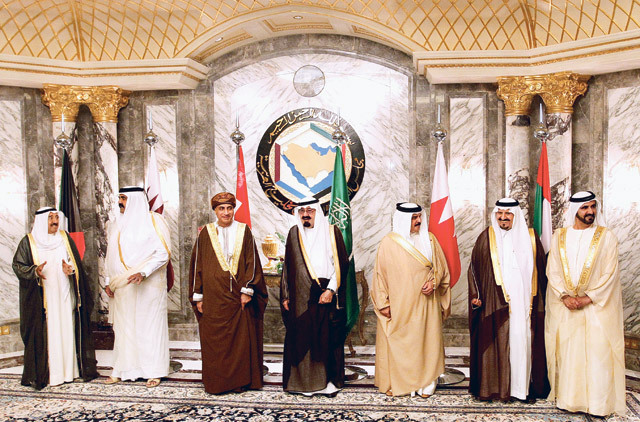 For more than three decades, the GCC succeeded in realising most of its objectives, although most citizens in the Gulf believe there is still unfinished work towards the ultimate union between the six states. Nevertheless, the group has managed, since its establishment, to successfully face political and security challenges: From the 1990 Iraqi invasion of Kuwait to the 2011 events in Bahrain and the current military campaign to restore Yemen’s legitimate government, overthrown three years ago by the Iran-backed Al Houthi militias and its allies — the supporters of deposed president Ali Abdullah Saleh. The takeover of Sana’a by the extremist militia threatened the Gulf’s collective security, especially the border areas of Saudi Arabia. The GCC, thus, decided to step forward to help Yemen regain its legitimate government and restore security and stability. The decision to launch the campaign was collective and the Saudi-led coalition included all the six members of the GCC. The Yemen campaign represented a traditional show of unity and resolve among the GCC states — something expected from the bloc, considered by many as the only successful Arab organisation since the independence of most Arab countries in the first half of the last century. Today, the GCC is faced with another challenge. And unfortunately, it is coming from within the ranks of the group. Shortly after the conclusion of last week’s GCC Consultative Summit in Riyadh, we were stunned by remarks, attributed to the Emir of Qatar, Shaikh Tamim Bin Hamad Al Thani, during a military ceremony on Tuesday, in which he appeared to defy not only the official GCC policies on most critical issues — particularly Iran, Hamas and Hezbollah — but also to hint that the American bases in Qatar were the only guarantee to safeguard his country from the “threat posed by some neighbouring countries”. Doha denied that the emir had spoken at the ceremony and claimed the statement was “fabricated”. Qatari officials curiously said the website and Twitter account of the official news agency, QNA, had been “hacked”. However, a quick look at the archives showed that the emir’s statement was not only carried by the news agency on its official website and Twitter account, but also on Qatari state television and other online platforms that belong to the state media outlets. Understandably, Gulf media and observers were unimpressed with the Qatari explanation, citing previous occasions when Doha had flagrantly acted against the interests of the GCC. Just three years ago, Saudi Arabia, Bahrain and the UAE pulled their envoys out from Qatar for about eight months because of Doha’s constant efforts to undermine regional security by aligning itself with forces that seek to destabilise the region such as Iran and the Muslim Brotherhood. One of the reasons at the time was the continuous media campaign by Doha-based Al Jazeera news channel, targeting the GCC states and their governments. The channel has become a mouthpiece for the Brotherhood and other terror groups such as Al Qaida and Daesh (the self-proclaimed Islamic State of Iraq and the Levant). It regularly hosts radical elements and jihadists who call for violence not only in the Arab world, but also in other parts of the world. The 2014 tension eased when Qatar signed the Riyadh Agreement, in which Doha promised to stop acting outside the GCC fold and vowed to rein in Al Jazeera. However, it seems that was just another tactic to ease the pressure. Doha today is back to its old game of stoking tension. Today, the region is at a critical junction. Threats surround the Gulf from almost all sides. Iran, terror groups, sectarian militias in Yemen and the raging war in Syria pose existential challenges to GCC. The bloc needs to stay united more than ever. And Qatar is not doing itself any favour by trying to undermine Gulf efforts to defend its security, prosperity and the future of its citizens. Qatar must realise that its own security and prosperity are part of the Gulf’s collective security. We all pray that reason will eventually prevail.